They officially deputed into Korean music industry since November 24, 2015 with single track <Poison Girl>, and they have made their latest come back on this May with single album <Shake It, Shake It>. 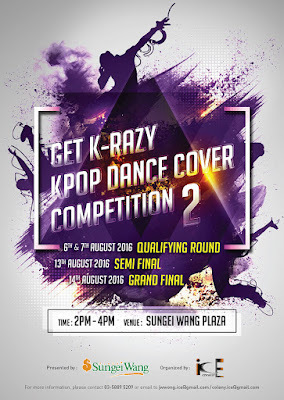 The boys own spectacular talents based on the multitudes of their street dancing performances since before their official debut. Moreover, not only showcase, Road Boyz also one of the judges on final of ‘Get K-razy Kpop Dance Cover Competition 2’ at Sungei Wang Plaza. Mark down your calendar! Road Boyz has finally get a chance to meet their fans in Malaysia for the first time ever in this coming August for “Road Boyz First Showcase in Malaysia 2016”, and this is also their very first official oversea showcase! Please come and enjoy their talent and passion on stage! 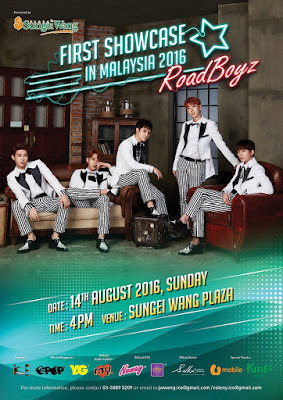 “Road Boyz First Showcase in Malaysia 2016” brought to you by I Creative Event.